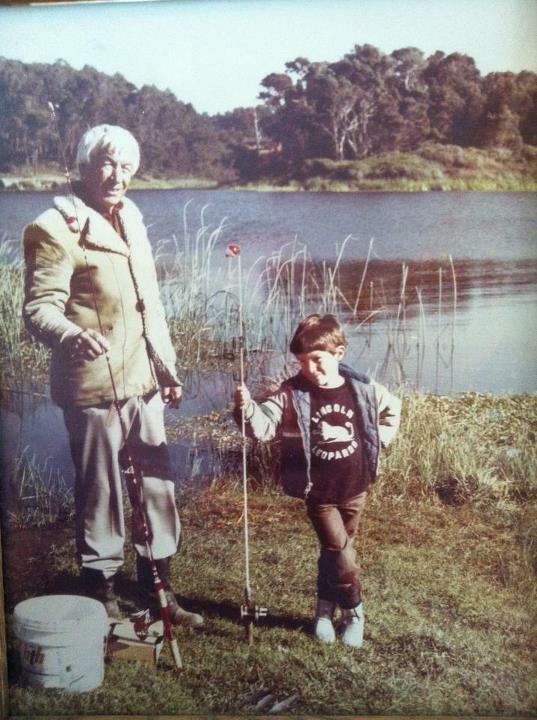 o here’s the deal — my father and I haven’t caught a fish in 20 years. If you knew us well that fact might surprise you. We’re both the sort of guys who don’t mind getting up at 5:00 to sit silently outside by the lake with a bad cup of coffee and watch the world wake up. We appreciate the zen of nature in a floppy fishing hat, Bing Crosby, Colonel Henry Blake sort of way – as opposed to a Bear Grylls sort of way. If you were ever stranded on a deserted island with either of us, consider yourself doomed. If either of us were on “Survivor” we’d be the guys building the shelter and gathering firewood, ‘cause if the tribe was depending on us for fish, everyone would starve. We’ve been on chartered expeditions with seasoned veterans with $100,000 state-of-the-art fish-finding equipment and slack-jawed yokels who knew where and when the fish were biting by the position of the sun in the sky… and we’ve been skunked every time. On our last fishing trip, about 10 years ago, we finally gave up and accepted our fate to find our zen sipping bad coffee at 5:00am and watching the fish catch the dragonflies. Not to soon thereafter my parents retired to a piece of lakefront property that can only be described as fishing nirvana. Downy cotton seeds drift down from the trees through the air like something out of Middle Earth. The blue heron comes by regularly enough that my parents have named him Harry. The bullfrogs in the reeds grind out a slow, deep steady “grum… grum… grum…” day and night. There’s a constant stream of seasoned, top-tier fishermen with $30,000 boats, $300 poles and $30 lures putt putt putting through the toolies around my parents’ property fishing for large-mouth bass, which are numerous enough to support half a dozen world-class fishing tournaments throughout the year. At the lake. On the pier. But not so numerous that my father and I have ever caught one. In fact, we haven’t even tried. What’s the point? The sun rises in the east and sets in the west. My father and I don’t catch fish. There are certain laws of nature you come to count on. Then my son came along. 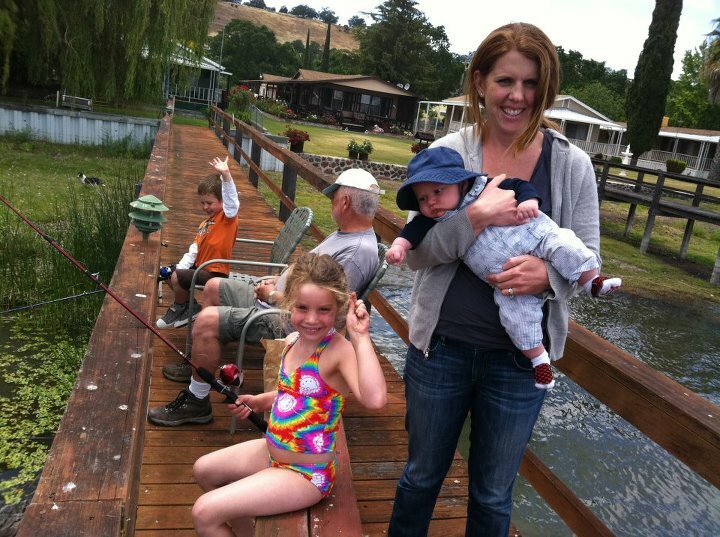 My kids have noticed the fishermen around BooBoo and Papa’s house every time we’ve been up there. That, combined with their discovery of the WildKratts since our last visit and they were BEGGING to go fishing at the lake this time around. Even if you don’t catch any fish, there is immeasurable value in the experience of fishing with your kids, so in anticipation of their arrival my dad went out and bought two cheap-o $15 poles, each rigged with the whispiest spider-line you could imagine, bobbers and a hook, and a bowl of nightcrawlers. In the weeks leading up to the trip I did my best to lower my kids’ expectations. “You bet we can go fishing. Absolutely. But you may not like it. It can be pretty boring”. “That’s OK” they said over and over. When it came time to fish, my son soaked up the rigging lessons from Papa with incredible focus. This was after all, his first time fishing. The bobber, the weight, the hook, the line, the real, and of course the worms – this was big medicine. We cast the rigs out in the water and started the mental countdown. Both my dad and I figured we’d go out on the pier, dip our lines in the water and after 10 minutes the kids would get bored and we’d move on to the next activity. To our surprise, Episode IV puttered out first. “Daddy” she said. “I’m bored. I want to go play now”. So she handed me her pole and walked back down the pier towards the house. Maybe five minutes later I got a nibble on the line. It was enough to drag the bobber around the surface of the lake rather dramatically. Episode V noticed just in time to see the fish splash loudly as it freed itself from my rigging and returned to freedom – uncaught. My dad and I made eye-contact knowingly. That was the most fishing-action either of us had had in decades, since I went fishing with him and HIS father 30 years ago and we actually caught a few rainbow trout. Disappointing though it was, it was enough excitement to keep Episode V’s attention, and much to our amazement, an hour after we first cast out our riggings, my 3½-year-old son was still in the game. He got tired of holding the rod, so he handed it off to my father and bounced back and forth between the two of us to see what we were doing. 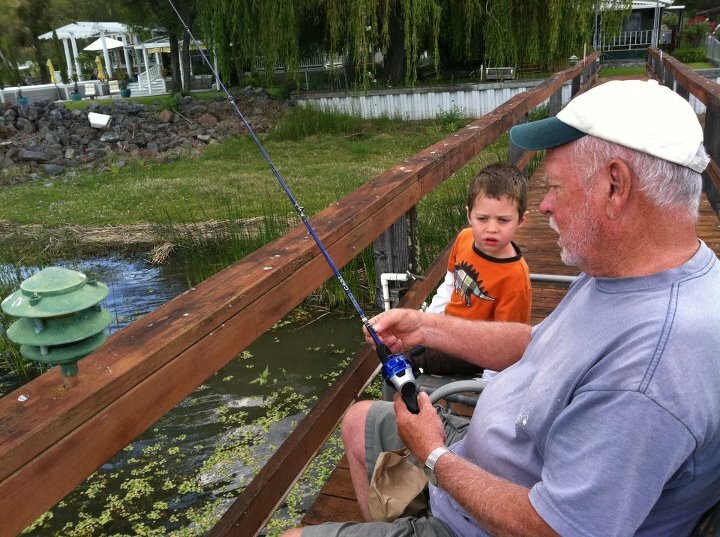 But he was still into it, and there we were, father, son and grandson… fishing. Then the fabric of space/time split wide open and the laws of physics came crashing down around us. I dozed off a little to the smells of the lake and the sound of the griebs pweet-pweeting to each other in the water. From my haze I heard my dad call out to my son “I think we’ve got one here boy. Grab the handle!” I opened my eyes to see my father and son holding on to the pole, which itself was bent impossibly back down, tip towards the water. My father was struggling to real line in, let line out, and hold on to the pole while not stepping on the pre-schooler who was holding on to the grip at the same time trying to “help”. We all shouted excitedly as whatever it was on the other end of the line tried first to take my father out to the middle of the lake, then tried to get the line tangled in the reeds, then finally tried to wrap the rigging around the legs of the pier. Somehow my dad managed to avoid all those things, all without tripping over my son and falling 15 feet off the pier and into the water. Then we saw it. At the time I thought it must have been between 14-16” long. But that was from 15 feet away. As I think about it now it had to be between 16-18”. It was a big-daddy bull bigmouth bass. My son was screaming with excitement. His eyes were wide. The adrenaline was pumping. 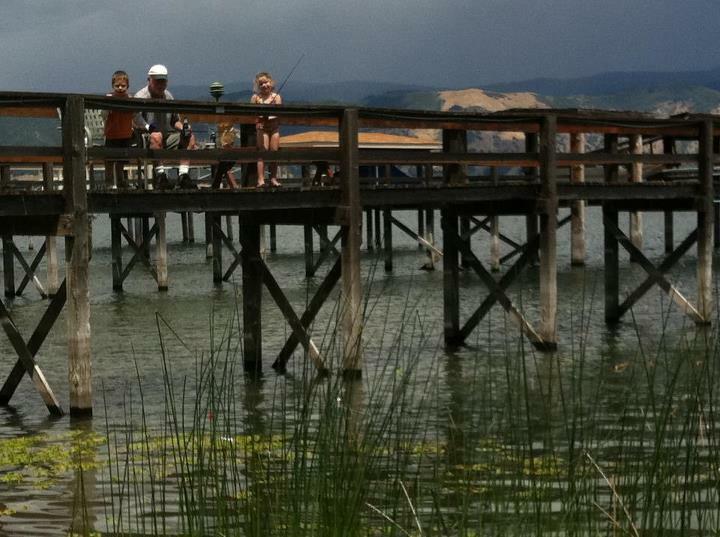 This was father/son/grandson lakeside magic memories happening right here, right now. Understand, we were NOT expecting to catch a fish, and thus we were NOT prepared. We didn’t even have a bucket to put a fish in should a fish miraculously jump out of the water and onto the pier next to us. There were two ways to get a fish like that out of the water, walk it 50 feet down the length of the pier, through the reeds and rocks and beach it, or pull it straight out of the water 15 feet up and over the railing with our $15 pole and spider silk thin fishing line. 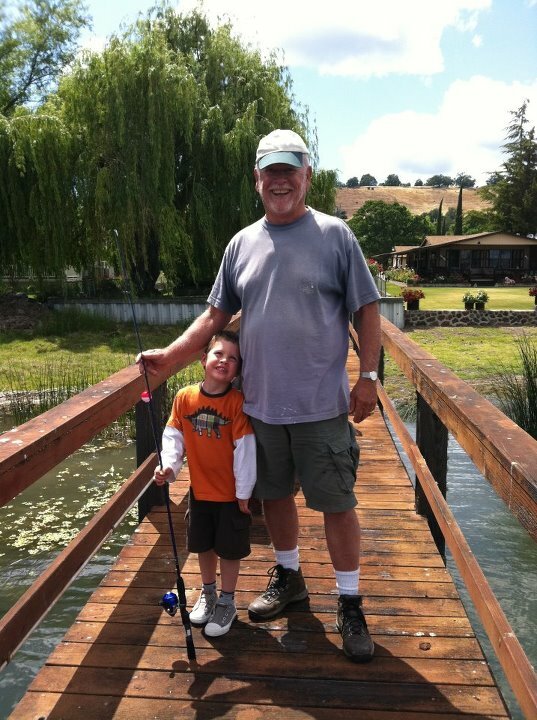 Grandfather and grandson wrestled the white-whale… er, um fish until it was exhausted. Then slowly, inch by inch, the two of them (on the same pole) pulled it up and out of the water. Looking down at the fish it was clear why they call them “big mouth bass”. Put your thumbs and middle fingers together tip-to-tip and that’s how wide his mouth was (if only my patients could do that for me). The fish hung there suspended in space, 6” from the surface of the lake, the rod was bent within an inch of its life, the line groaned with the strain and time stood still, like Neo in The Matrix. We were violently whipped back into reality when my son shouted “WOW! That thing could eat my whole head!” Those profound words were enough to wake the fish up as well, and with one final shake of its head the impossibly thin fishing line snapped and he splashed back into the water, free to live another day. That night after the kids went to bed and my dad and I were sitting out on the veranda with a beer watching the day-shift switch to the night-shift on the lake I said to him “You know, if we were thinking we would have brought your pool net out with us. It’s long enough. We could have scooped him right out of the water”. My dad’s response was genius in its simplicity. “That would have been ‘believing’, not ‘thinking’. Frankly, I thought bringing those chairs out there was a stretch”. And of course he was right. If I’d “believed” we were capable of catching a fish, I might have had my camera ready just in case. I didn’t. “You realize I’m going to have to go back out there tomorrow” I said. “The problem is, now I have expectations… damnit”. And “go back out there” I did. The next evening, like Captain Ahab, I went right back out to the exact spot and cast my nightcrawler in the exact same spot, and sat there for an hour while my dad Bar-B-Q’d and my kids hunted lizards in the rocks back by the house. And wouldn’t you know it? Not a nibble. Episode VI is the only one wearing the correct hat. his post was supposed to be a parable about what an amazing husband and father I am. My husband-of-the-year award was in the bag. My name was going to be written in lights and I was going to enjoy true superhero status around the house for months to come. If you only scroll down and look at the pictures you might think that was what happened. The reality though was far different (and far more realistic). What was supposed to be a parable of epic proportions became a tale of ultimate failure, highlighting my complete ineptitude, rather than super powers. Eventually though, like all good operas, tragedy leads to redemption, and at the end of the day good triumphs over evil. It is not unheard of, in some circles, for a woman to get a “baby band” after the birth of a child – a little bauble to commemorate a rare, wonderful occasion. The idea is that you wear the band next to your engagement and wedding rings to mark another milestone in the timeline of your life (which could get rather complicated for Octomom, Kate Goslin or Mrs. Duggar). It’s a nice sentiment but my wife and I are a little more practical than that. We generally aren’t “bauble” people. There’s always something more practical to spend that sort of money on. That never stopped us from window shopping though. This last go around looks like it will be our last, so a month or two before Episode VI was born when UnDorkMommy was looking at settings online, I paid particular attention. The first thing I noticed was that the settings she was looking at bared no resemblance to either the engagement ring, or the wedding band she was already wearing which together look like a matched set. She assured me that that didn’t matter. When you wear a baby band it doesn’t have to match. I raised my eyebrows. “Huh. I would never have known. Learn something new every day”. It should be noted that although we are practical people, that doesn’t mean my wife doesn’t appreciate the finer things in life in every department except the husband department. When I saw the $$ of the settings she was looking at online I nearly choked. She laughed. “Don’t worry. I’m just window shopping. It’s harmless fun”. “Tell you what” I returned. “Why don’t you Email me some pictures of something in a more realistic range just in case Santa gets any funny ideas he can have a clue what sort of look you like”. The next day three links appeared in my in-box from a well-known (though not top-tier) local chain jeweler. Although the $$ on the links were still choke-worthy, they wouldn’t require a full-on EMS response to recover from. Fast forward a couple months. Baby’s born. Dust is settled. Mother’s Day is on the horizon. Our 10th wedding anniversary is fast-approaching. We had a good month at the office. I figure what the heck. Episode VI is probably going to be our last kid. Once every 10 years or every 3 kids is OK. She more than deserves something sparkly. 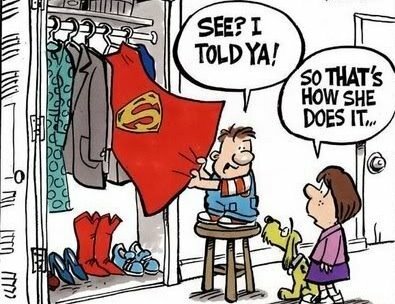 Just as important, I’ve got a little man I’m raising (well, two now) who needs to learn how important it is to do something wonderful for the wonderful women in his life. So I packed up Episode V and hauled him off for some father/son bonding to get Mommy something sparkly. We arrived at the well-known (though not top-tier) local chain jeweler and I impressed upon Episode V how important it was to act like a big-boy in this store (jewelry stores tend to be pretty uptight places), and how we were going in there to pick out something very, very special for Mommy. It’s important that a kid feels like it’s coming from him too, so outside the door I kneeled down and told him eye to eye with utmost solemnity that I was going to need his help picking it out. He nodded, appreciating the gravity of the role he was going to play, and hand-in-hand we walked into the store – two buddies in matching Captain America T-shirts on a mission to get Mommy something special. I pulled up the Emails on my smartphone and the salesperson was able to find the exact 3 settings UnDorkMommy had sent to me months earlier. “OK now. Which one do you think Mommy will like best?” Episode V didn’t waste any time. He pointed immediately to his favorite. 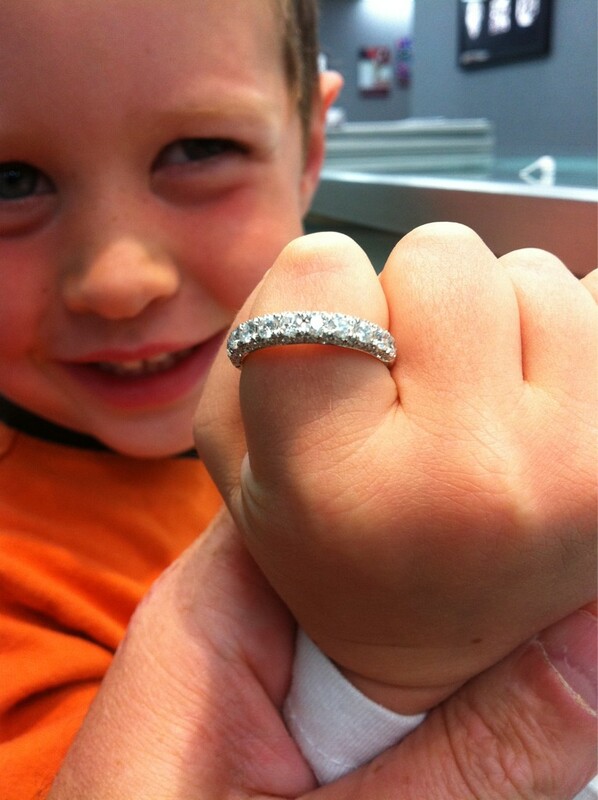 My son picked out a new power-ring for Mommy. “The boss has spoken” I told the salesperson. “Wrap it up. We’ll take it”. And off we went, back home with huge smiles on our faces, proud of what we’d done for Mommy and eagerly anticipating the joyful look on her eye when she opened the little box and saw the sparkly there waiting for her. “Dude, that’s supposed to be a secret!” I told him. “Oh yeah. Sorry.” He said, and ran off to play legos. My wife laughed. I laughed. That’s life with little kids. I waved my hand mystically in front of her face, “You are forgetting everything you’ve just heard. You have no idea where your husband and son have been for the past few hours. These aren’t the droids you’re looking for. You can go about your business”. The Force can have a strong influence over the weak minded – over my wife, zilch. So Mother’s Day arrives. Up to then it’s all I can do to keep from giving her the gift early. Presents are like that for me. I get so excited around Xmas and such I can barely hold it in. My son on the other hand, he has the memory of a goldfish. So early Mother’s Day morning when I whispered in his ear to go get Mommy’s present that we bought for her he said “Oh yeah. I forgot” and ran off to the other room to get it from its hiding place. As he ran into the room with the gift in his hand I could just see in my mind the scene unfolding. She was going to open the little box, see the sparkly, her eyes were going to fill with tears, she was going to throw her arms around my neck, kiss me on the cheek, tell me how perfect it was and how much she loved me. There was going to be a ticker-tape parade in my honor. The Mayor was going to give me the key to the city, and the local university was going to put my name on a new campus dedicated to the greater comic book arts. I could hardly see straight I was so excited. Boy I couldn’t have been further from the truth. what she wanted”. She didn’t even have to open the box. She knew. The Box’s color was enough to give away my total failure. You see, the key component to the equation that I was missing was that although the setting of a “baby band” doesn’t have to match the wedding band and engagement ring, apparently the metal itself does. Again, who knew it wasn’t fashionably acceptable to put yellow gold next to white, or white gold next to platinum, or copper next to nickel… well, apparently every refined woman out there. But not this Dork Daddy. The links she had sent me were to give me an idea of what arrangements she liked. But if I’d bothered to ask, she would have pointed out that the links were of a different metal than her wedding and engagement rings. I wasn’t supposed to get one of those *exact* rings. If I’d bothered to ask she would have told me as much. She appreciated the sentiment. She appreciated the effort. She tried to make it better by saying “Well, maybe I can wear it on the other hand”. But that wasn’t the point. I wanted it to be “exactly what she wanted”. Although she never expects gifts like this, she knew from my son’s give-away that she was getting a “baby band”, and it’s only human to have certain expectations. Disappointment was thick in the air. I was crestfallen. She was pretending not to be, trying to make the best out of my ineptitude. So we/I moped around the house for the next 40 minutes while we all got ready to head out to Mother’s Day brunch. As I got dressed I remembered something the salesperson at the well-known (though not top-tier) local chain jeweler said to me as she was running my credit card. At the time I dismissed it, but now it came flooding back in all relevance. There was a 60-day, money-back, no questions asked policy. I ran out to my car to check the paperwork and confirmed it. Yee Haw! 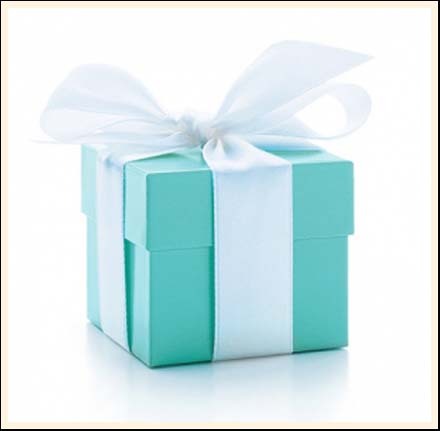 Then I remembered that just a couple blocks away from where we’d planned on having Mother’s Day brunch was a jewelry store with the *RIGHT* colored boxes (very well known, totally top-tier). 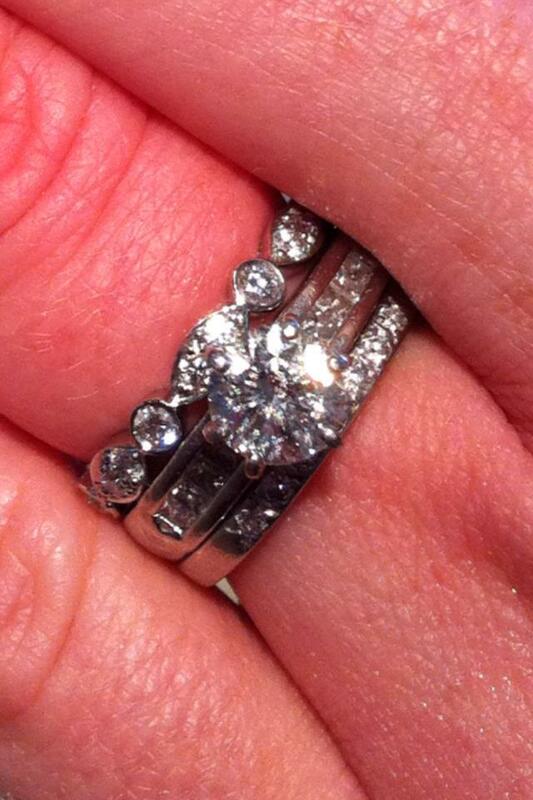 I explained to UnDorkMommy my plan to make things right and she brushed it off, “I don’t need a ring. We don’t need to spend that sort of money on jewelry. The house needs new windows”. But I wouldn’t have it. So after brunch we all walked down to the right jewelry store and looked at two or three settings that appealed to her. Again, to her credit my wife tried to pretend that the cheapest ring was the one she liked the best, but she couldn’t hide the twinkle in her eye when she put on the expensive one. That was the twinkle I was hoping for when she opened the original, wrong-colored box. Although she protested mightily, to my thinking it wasn’t worth doing if it wasn’t “exactly what she wanted”. This was what she wanted. After three kids and ten years of marriage she deserved it and so much more. She means so much to me. Nothing else would do. This was the one. I bought it for her. And there was that smile. There were the arms around my neck. There was the kiss on my cheek. It is the rarest of occasions when a mother of 3 gets put ahead of everyone else in the house. But this was Mother’s Day. It was far overdue. Yay! Mother’s Day was saved. The only downside: now I’ve got two sparklies sitting on my credit card. I’ve gotta get that taken care of ASAP. Boys, if you love the women in your life as much as I love your mom, and you want to make them feel as wonderful as they deserve to feel, you’re going to fail from time to time. Make your peace with it. It’s going to happen, often in spectacular fashion. Blame my DNA. Blame your Y chromosomes. Whatever gets you through the day. But when you do fail in life, what’s important is how you recover. It’s OK to fail. Just pick yourself up, dust yourself off, and go make it right. …and sometimes that means getting something for your wife that comes in the right-colored box. o in the back of my mind I’ve always wondered when the “pop-music” was going to happen in our house. When Episode IV started kindergarten we knew that that was the time when her social growth would begin to be influenced more by her friends than by her parents. Up to that point, musically she’d been raised with the classics: Frank Sinatra, John Williams and all the major 80’s hair bands. But the day was coming when she would no longer be satisfied with what her mother and I put in the car CD player. Someday soon she’s going to want us to put the radio on some insidious pop station that belts whatever over-produced, over-stylized dreck happens to be trending at the moment. It was just a matter of how and when. Then the answer came. More giggles in this car than you could possibly imagine. The other day I had the opportunity to chauffeur for my daughter’s kindergarten field trip. Translation: I got to drive four kinder girls from point A to point B and back again. That was a new one for me, and what fun it was. As you might imagine the silliness and giggle-factor were off the charts. We laughed the entire trip (I seriously recommend the experience to anyone who’s brave enough to try it). On the way there I asked the girls what music they wanted to listen to. One girl (the one with two older sisters) immediately piped in with a radio frequency (which I can’t remember now) “blah blah blah point blah!” came the high happy kinder voice from the back seat – and right on cue one of Katy Perry’s signature songs filled the car. It’s one of those songs that everyone has heard somewhere, it’s super catchy, everyone recognizes the tune, but nobody knows the lyrics. 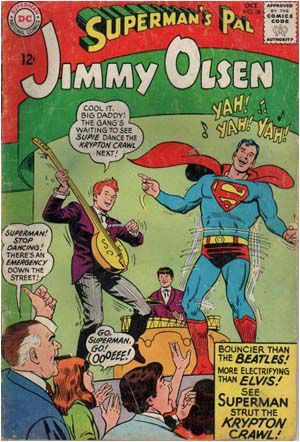 White men can dance… if they’re from Krypton. So we bumped along, the five of us singing “nah na na na na fiiiiiiiiiiireworks!! Nah na na na na fiiiiiiiiiireworks!! Nah na na na nah oh, oh, oh!! !” until the song was over. We were all out of breath from singing so loud, and we were all giggling. 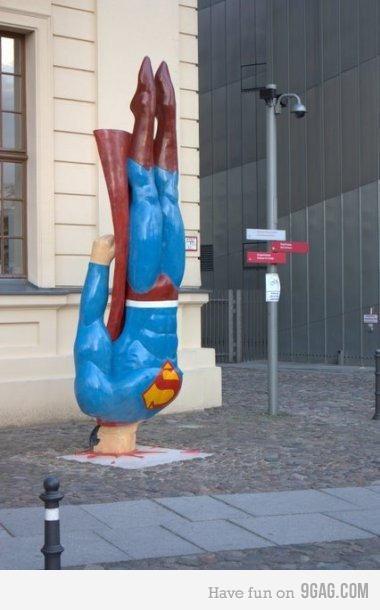 Superman wishes someone would go back and scrub his internet footprint. If he was on Facebook I bet he’d have a lot of embarrasing pictures from his fraternity days. “It means that they kiss” she said, to which all four girls in unison brought their dimpled little hands up to their mouths and giggled slumber-party-style. 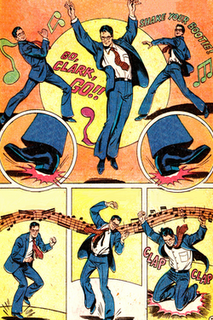 She then went on to explain all the dynamics of Justin and Selina’s relationship – from a kindergarten perspective – for the duration of the song. “Justin Bieber sings like a girl”. It’s a warm Friday evening downtown. It’s the high-end part of town, filled with alternating kitchy little boutiques, restaurants and big brand shopping stores. The big movie theater is there. People come from all over to casually walk the streets hand-in-hand to window shop. If there was ever a place in town to be “seen”, this is it. On this beautiful evening the streets are especially filled with happy, upper-middle-class pedestrians enjoying the weather, the sights, the smells and the general ambiance. It’s a perfect, picturesque California-evening in the penultimate California beach town. Traffic moves slowly down the street on evenings like these, mostly to accommodate the pedestrians, but also because there is no real rush. This is, after all the quintessential beach town – flip flops and Bermuda shorts are practically a uniform around here. You glance up from the Mexican hot chocolate you purchased at the specialty chocolate store and notice a minivan slowly making its way down the street. Through the open windows you see two adorable blonde, curly-haired kids in the back seat, obviously siblings, an older kindergarten-aged sister and pre-school-aged brother. 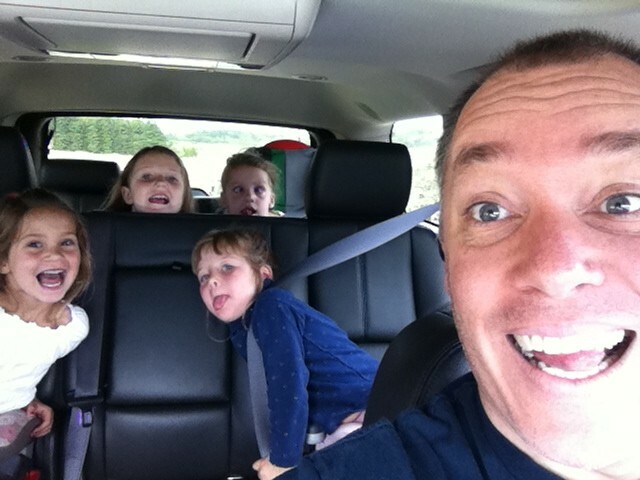 In in the front seats are two adults, also obviously siblings – a graying, hair thinning, late-30’s man and a bubbly, curly haired brunette with a big toothy smile. The minivan’s occupants are all gleefully clucking along at the top of their voices with no regard as to who can see or hear them (which in retrospect is a tactical error for the driver who is a respected professional in the community with a reputation to maintain). As the minivan bumps along down the road and turns a corner towards the parking garage the people on the street take notice and smile. The song itself is trending in pop-culture at the moment, and even through the minivan passengers are singing it with chicken clucks, it’s a very recognizable and upbeat tune. 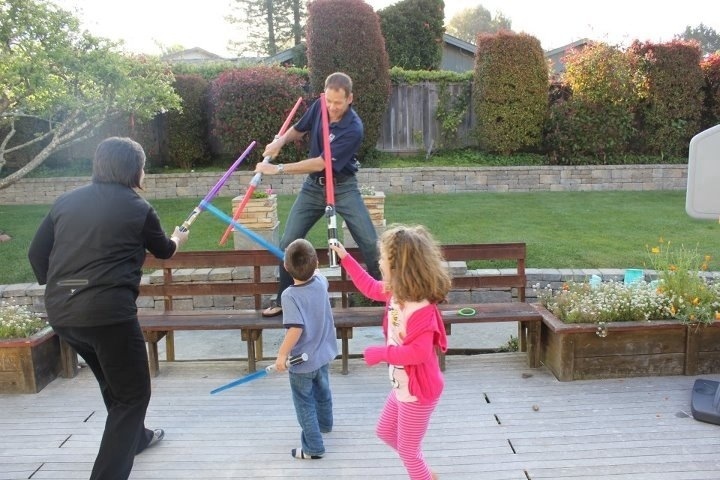 Of course the occupants of the minivan were Episode IV, V, DorkDaddy and DorkDaddy’s sister Auntie LuLu. As I listened to my kids squeal with glee at sharing the total silliness of clucking this song out the windows of the car to the entire world on the street, and as I saw all the smiles on the people on the street that it invoked, I knew I’d be blogging about it. For those who aren’t plugged into pop-culture, the song is a Muppetized version of Ce-Lo’s “Forget You”. 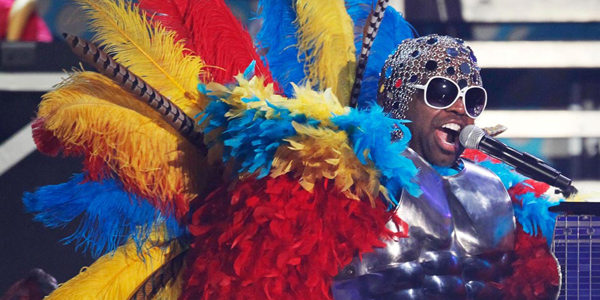 Ce-Lo performed his song at a recent Grammys event in an outlandish costume that left many people scratching their heads. No doubt at the time he knew that his song was going to be a part of the new Muppet movie. Astute students of Muppet history will remember Elton John’s appearance on The Muppet Show. On that episode he performed “Crocodile Rock”. Watch the video below and the circle between Elton John, Ce-Lo and The Muppets will be complete. And with that I bring my trilogy of appreciation of Muppet music to a close (unless I decide to make the prequels at some undisclosed date in the future). As I’ve said before, whatever the franchise, I don’t care how cheezy it is, or how badly the new material ruins the sanctity of the old material (JarJar Binks anyone? ), if it gives me and my kids (and their Auntie LuLu) something to do and get excited about together, that’s absolutely fine with me. Thank you Muppet Studios for giving us just one more thing to dork-out over. If you’re a longtime family friend traveling through town and you happen to spend the night at our place, you’d better prepare to defend yourself first-thing in the morning. hink of those songs you sing at the top of your voice when you’re in the safety of your own shower. You belt it out with the pure, liberating sense of freedom that can only come when nobody else is in the house and you’re sure the neighbors are at work and have no chance of hearing you. In that brief moment there are no inhibitions, no critics, no fears. You may not get the lyrics right. You may be so off key the tomcat down the block starts howling. But it doesn’t matter. You just let it all hang out there, no holds barred. 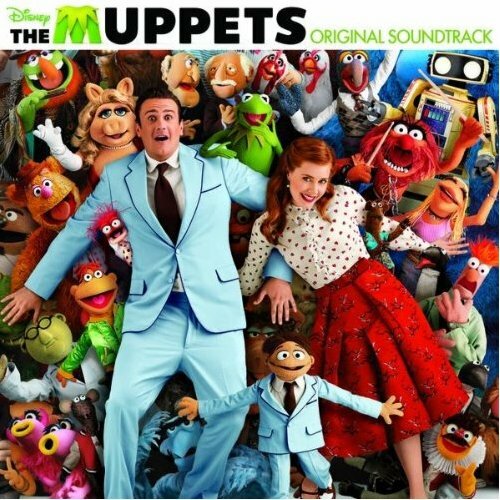 That’s the zeitgeist that The Muppets have been tapping into for the better part of four decades now, and they did it again with their latest movie (and soundtrack). 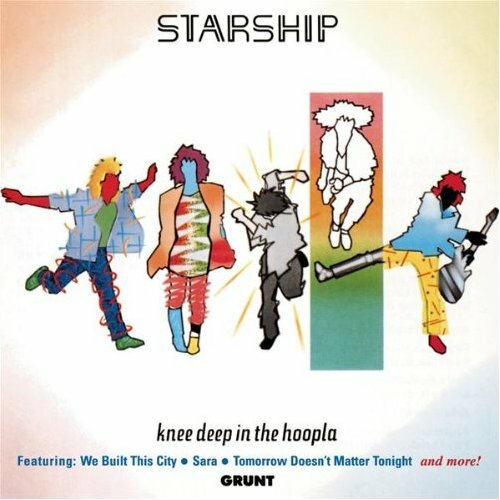 Ladies and gentlemen, anyone who spent any time growing up in the 80’s can’t escape the imprint left on the DNA of their youth by the classic cornball 80’s power ballad, “We Built This City On Rock And Roll” by Starship (formerly “Jefferson Starship”, formerly “Jefferson Airplane”). That song/group has a special footnote in the history of our family. It was the very first album I ever had (yes… “album”, as in vinyl. Won it from a radio station), and Jefferson Airplane played at my parents’ prom way back when they were in high school. Although my good friend Theo would make a very articulate, well-conceived argument as to whether or not you actually NEED to pass on this particular bit of pop-culture (and indeed, he may be right), how then do you bring this storied piece of family lore into the lives of the newest generation? Simple. Put it in a Muppet movie. …it may just be us. Feel free to crank up your CD player and join us. Truly, what more is there to say? Their cultural significance and sheer genius is beyond dispute. But lately, as a father, I feel like I owe them a personal debt of gratitude. Certainly there’s the madcap mayhem antics that we’re all aware of. But musically, over the past year, The Muppets have opened up a window for my children that I simply must share. I’m a big advocate of turning up the volume to Back-to-the-Future-proportions and rockin’ out to tunes that can only be properly appreciated at level 11. Sometimes you’ve just got to drop everything and dance around the house like a wildchild, or bang your head like the 80’s glam rocker you’re glad you never actually were. Regrettably, most of the lyrics to songs that fit into this category are not necessarily “child friendly”. Queen’s “Bohemian Rhapsody” is one of those songs. 10 parenting demerits if your kids make it through their childhood years without rocking out to this song at least once. But lyrics like “…just killed a man, put a gun up to his head, pull my trigger now he’s dead” and “I just wanna die. Sometimes I wish I’d never been born at all” aren’t exactly ideas I want to expose my 6 and 3-year-olds to. Enter “The Muppets”. I started my kids on this video in the bathtub more than a year ago, and it’s been a staple ever since. Even if my kids never hear of Freddy Mercury, and even if they incorrectly sing the final lyrics “nothing really matters but MOI” for the rest of their lives, I can say with pride that they know the exact moment to do the head-banging bit, and they do it with gusto.